Angels! A Shepherd and a Wise One! Mary and the Baby! 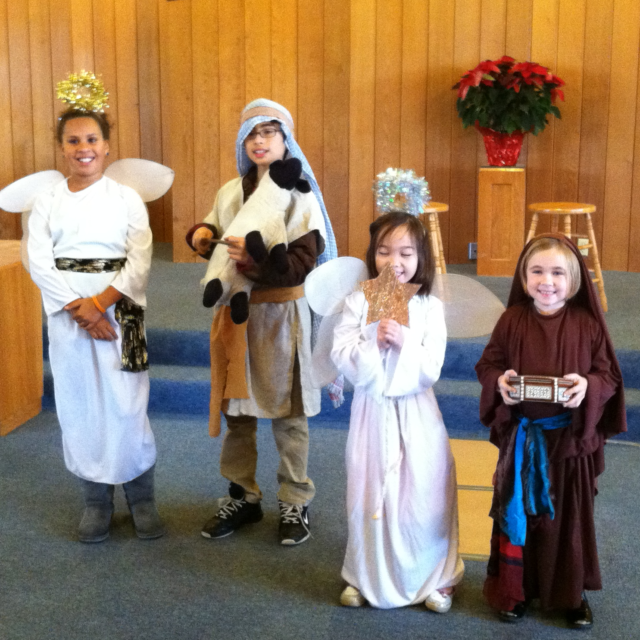 This past Sunday the children’s class taught us a new song they have been learning, In Bethlehem a Babe Was Born (written by a Quaker, Barbara Bennett Mays!) 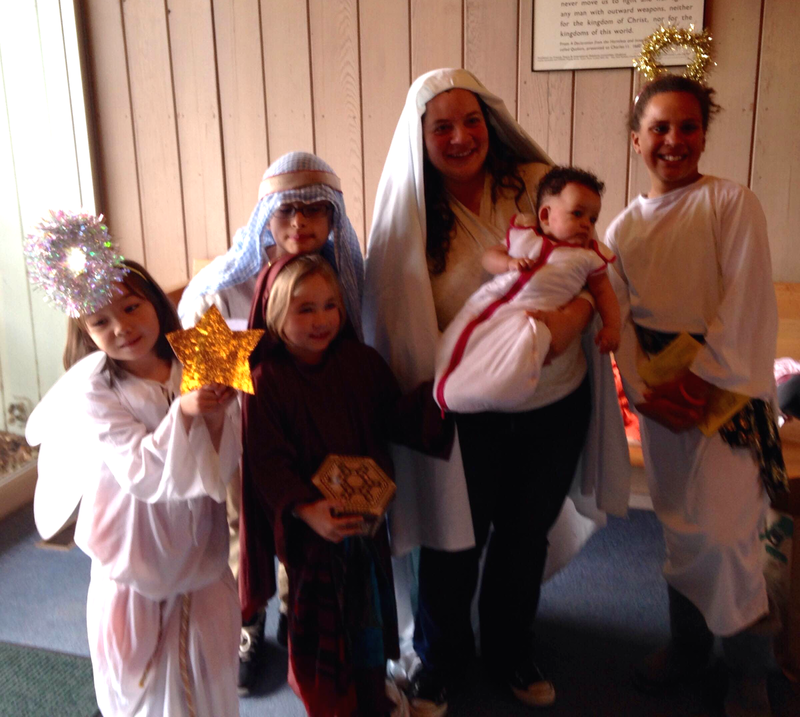 They entered the worship room in costume, gleefully proceeding to gather around the mother and child at the front. Accompanied by guitar, flute, and a chorus of supportive adults, it was a moment to remember. The kids are already looking forward to next year! Are you all ready to sing? 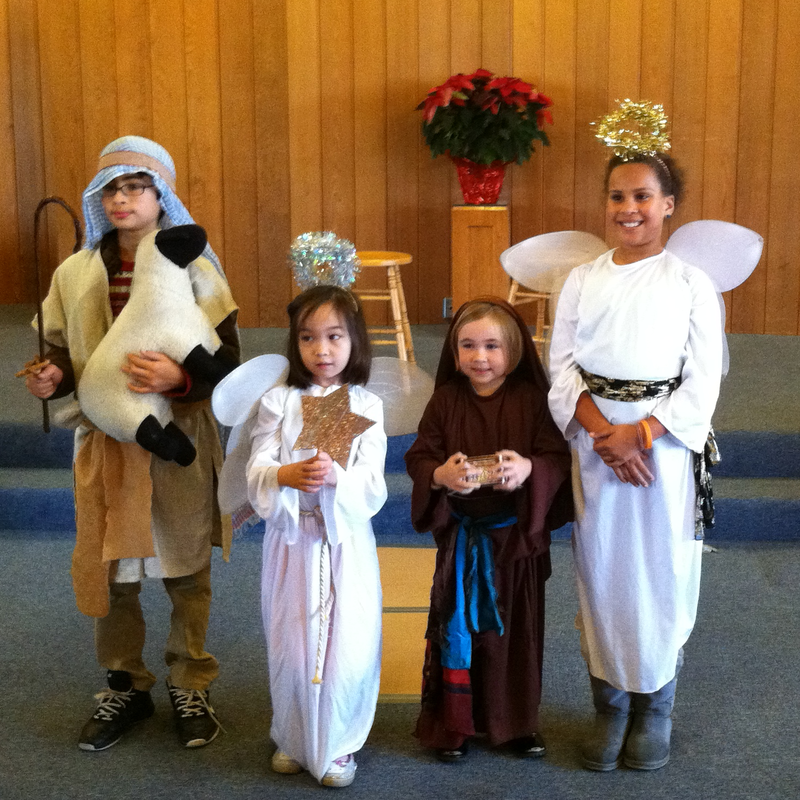 The singers and Mary and the baby prepare for their grand entrance. 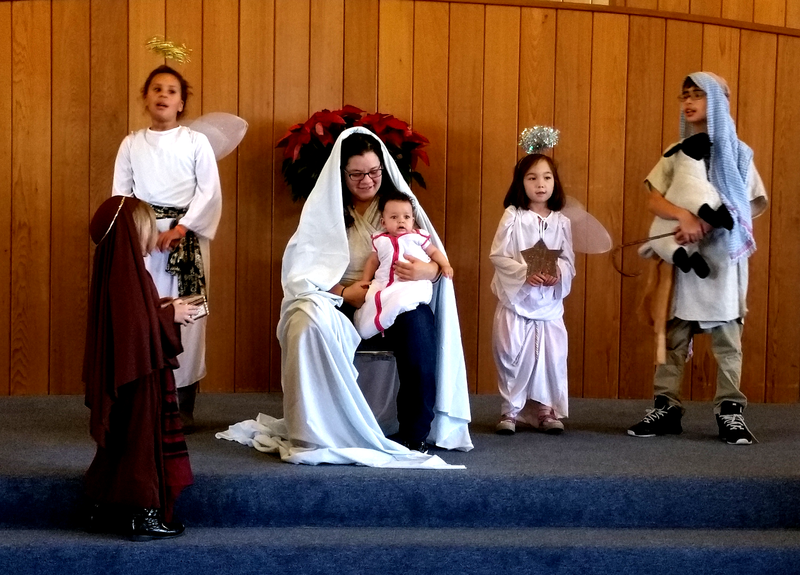 Many thanks to the kids and their families, to Louise Neal and Nikki Gage for the instruction and choreography, and to Solano Community Church for the use of the costumes.